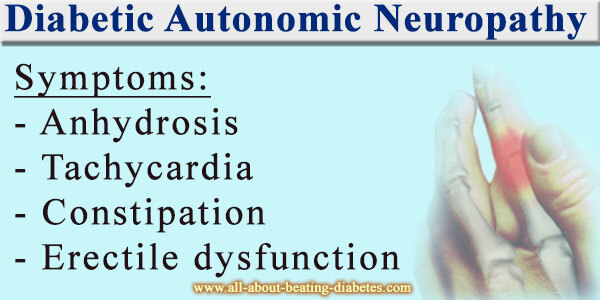 People who suffer from diabetes must expect to develop autonomic neuropathy at some point of their disease. Unfortunately, this is really common complication of diabetes and almost 20% of the people having diabetes autonomic neuropathy. For your information, autonomic nerve system plays really important part of regulating many functions in our body. The effected organs of the autonomic nerve system are: heart, intestines, urinal tract, glands. Also, the sweating is regulated by this nerve system. That’s why you must expect the first symptoms to start from any of the above-listed organs. When the cardiovascular system is damaged by the autonomic neuropathy the symptoms are obvious and the patient knows that he/she start to develop this particular complication. Often the very first symptom is tachycardia, which could appear when you rest or when you make movements or exercise. This explains the presence of exercise intolerance and imperfect achievement to adapt to the new environment. Furthermore, the modification of the blood pressure is deteriorated. That’s why when you train, the blood vessels do not shrink and the blood remains in them. The only one thing that the organism can do about it is to increase the heart rate (tachycardia). Also, other organs are also affected by the neuropathy. Gastrointestinal problems could be the first signs of autonomic neuropathy, too. 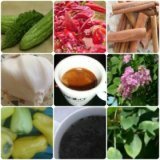 Constipation- having problems with defecation, which could not be treated with medicaments or the affect of the medicaments is not satisfying, are also very common among the patients that suffer from autonomic neuropathy. On the other hand, going too much to the bath, which is called diarrhea is another way for the complication to appear. Urogenital system is also stroked by the autonomic neuropathy. The first symptom of this system is erectile dysfunction. People should not worry, if they have erectile dysfunction once. However, if this is a persistent problem, then it is most likely that the autonomic neuropathy has reached the nerves that are regulating the erection. Also, the problems with the bladder appear simultaneously with the erection. Incontinentio urinae (urine incontinence) is the medical term for a condition where the patient is unable to hold their appeals to go to the bathroom. In most cases the urine will come on small drops but if you press your belly under the navel the urine will start come out faster. In lighter cases, the first sign of diabetic autonomic neuropathy is the anhydrosis, which is symmetrical on both extremities. Anhydrosis stands for a term when you can not sweat. These are areas of your skin, which are very dry and in most cases fungus infection will start from there. Anhydrosis leads to other complications, which are less damaging than the autonomic neuropathy that people that suffer from diabetes.